Mr. Wilkinson leads an Office of Social Innovation that supports the development and launch of outcomes-focused solutions across a range of domestic policy priorities from education and job growth to economic development and healthy communities. In addition, Mr. Wilkinson coordinates efforts to attract and deploy America’s talent, from national service and volunteerism to employing better management strategy, in support of effective community solutions. Mr. Wilkinson has served on the board of the City First Foundation where he was a founding director. He was selected by Next American City Magazine as a member of its Next American Vanguard, an annual “40 under 40” award honoring urban innovators. Mr. Wilkinson served as a Jane Addams Fellow at Indiana University’s Lilly Family School on Philanthropy. He is a graduate of the University of Virginia and Yale Law School. 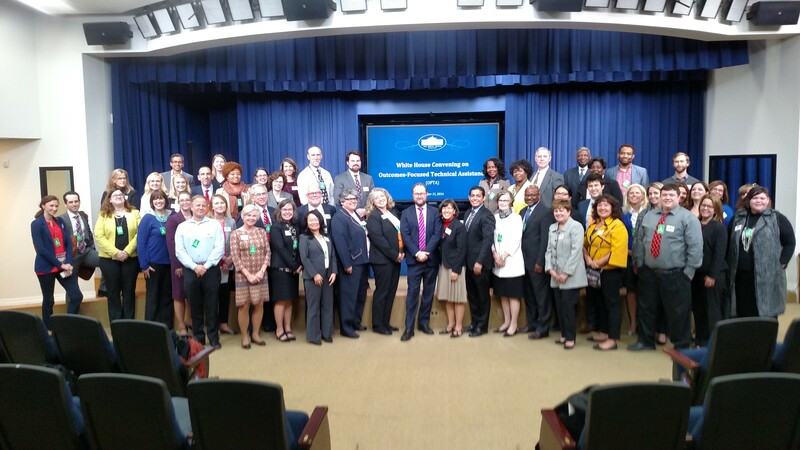 White House workshop engaged leadership from across government, business, nonprofit, and philanthropy to improve program effectiveness through participant feedback. The Administration introduces a new framing that seeks to bring into sharper focus the potential to deploy TA resources in a way that service providers use data. The VA and CNCS announce that they are jointly funding an innovative new approach called Pay for Success to promote better employment outcomes for veterans with PTSD. The US Treasury Department and IRS finalized regulations that make it easier for private foundations to make Program-Related Investments (PRIs).